Here is where I can share with you some great sources of art materials, local art venues and contacts that we are so fortunate to have in the Athens -Watkinsville area. Underneath these local "gems" are links to some of the mentors that I have been fortunate enough to be able to study under. Visit their sites for an enriching watercolor experience! It has been my honor to be in their company and learn from the best! Beginning, Intermediate and Advanced Watercolor classes and LOTS MORE! Thanks for your support and guidance! Thanks, your inspiration and guidance are appreciated! As a professional watercolor artist, Linda is intrigued by the gentle translucence of nature. She considers her work to be a contemporary approach to traditional subject matter. Striving to simplify the complicated while seeing the unique in the ordinary, she captures the essence of gentle scenes with harmonious strokes. What can I say....A fantastic person and artist - and good friend! Jane says that painting is her passion, whether in oils or watercolors. Traditional oils are like applying colored butter to a canvas… a luscious process she could never tire of. Family portraits in oils have been the classic medium over the ages to preserve a loved one's image and spirit. Painting a portrait in watercolor is a lot like raising a child. It is a tight rope act, an incredibly fine balance between letting the vibrant transparent colors grow and bloom in unexpected directions… and being a careful and thoughtful guide, coaxing and coaching and watching…ever careful not to meddle too much with a brush and spoil the beauty. After fifteen years of painting watercolor portraits, I am still enthralled with the process. I begin each painting with excited expectation, a mother wondering if I am up to the challenge. I can't imagine a better job. Thanks Jane for sharing your talent and spirit with me! Thanks Lian for offering such a wonderful class at the Bowen in Dawsonville. I and everyone I talked with mentioned how much they were moved by your talent, technique, and sense of humor. Thanks!!! We all are looking forward to seeing you January 12th through the 14th 2015 at OCAF . __Tony Couch received a BA degree in Art from the University of Tampa, did further work at Pratt Institute in New York while an artist for Associated Press, then for years freelanced and studied with Edgar A Whitney, ANA. His book, "WATERCOLOR: You Can Do It! ", published by North Light in 1987 is now in its sixth printing, has become the publisher's all time best selling art book and is the textbook in several college art departments. It has also been published in Chinese for that market. A "technique" book, published in 1991 has been published in English and Japanese. A third book, on design, was published in 1992. 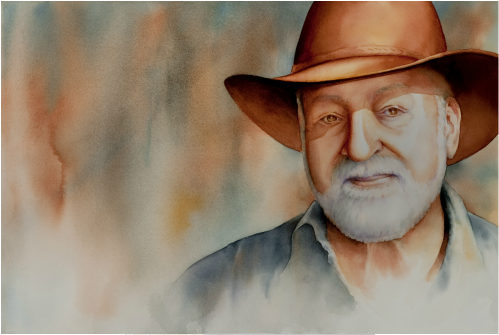 His watercolor instruction articles have appeared in several publications worldwide, including Palette Talk, North Light, American Artist, Australian Artist, The Artist, and Watercolor Magic. Tony has produced 10 "how to" videos on drawing, design and watercolor painting - of which several are used in state educational systems in the US. A winner of over 70 exhibition awards, his work has been included in 3 annual exhibitions of the National Academy of Design and 11 art instruction publications by other authors in the US and UK. 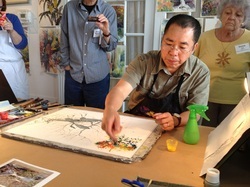 He now conducts 5 day watercolor painting seminars in the US and abroad. Tony has been elected to membership in the Academic Artists Association, Allied Artists of America, Hudson Valley Art Association, Knickerbocker Artists, Salmgundi Club, Society of Marine Painters, Watercolor West, The Pittsburgh, Georgia, Southern, and Midwest watercolor societies as well as the Whiskey Painters of America. Thanks Tony for offering all that you do. You bring such warmth and history to your work! 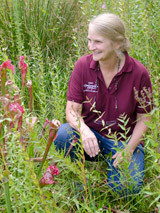 Judy Greenberg is an accomplished watercolorist and art educator with a degree in Fine Arts. She lived in Northern California until 2006 and is well known in the Bay Area as an art juror and group demonstrator. Judy is now a resident of Dunwoody, Georgia, and is President elect of the Georgia Watercolor Society. Her teachings focus on progressive techniques, with a strong emphasis on design. Her DVD, Creative Watercolor Using Gel Medium, is often the topic of her workshops. Judy was selected to endorse Richeson Brushes and she is currently a regular contributor the Palette Magazine, available at Cheap Joes Art Stuff. 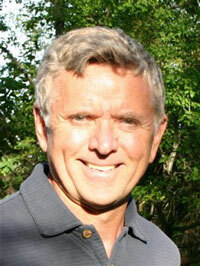 Stan Miller also teaches workshops and classes in Spokane and throughout the United States. He is an extraordinary teacher who has aroused a following of fans who swear by his message of ‘going beyond the obvious’ and credit his teaching with their own breakthroughs to artistic understanding. His enthusiastic, positive and often hilarious approach is infectious. Mike’s nature is to make everything fun and keep the processes exciting, yet challenging. Those who have been in his workshops or classes often repeat them in order to be around his stimulating teaching and supportive guidance. He spends some 15 to 20 weeks per year instructing groups from beginners to advanced painters. In addition, almost annually, he leads painting groups to exciting European painting retreat destinations. Of course, he is associated with numerous art societies and is a signature member of the National Watercolor Society. The awards he has received, the articles in magazines and his art featured in painting books are a testament to his continuous pursuit of excellence. 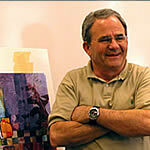 His paintings are held in private and corporate collections in the US, Europe and Australia. Thanks to Nancy, director of the Lyndon House, the Georgia Watercolor Societies Member Show just wouldn't have been as wonderful. Thanks to Nancy, Shannon, and the entire staff for their help and support!